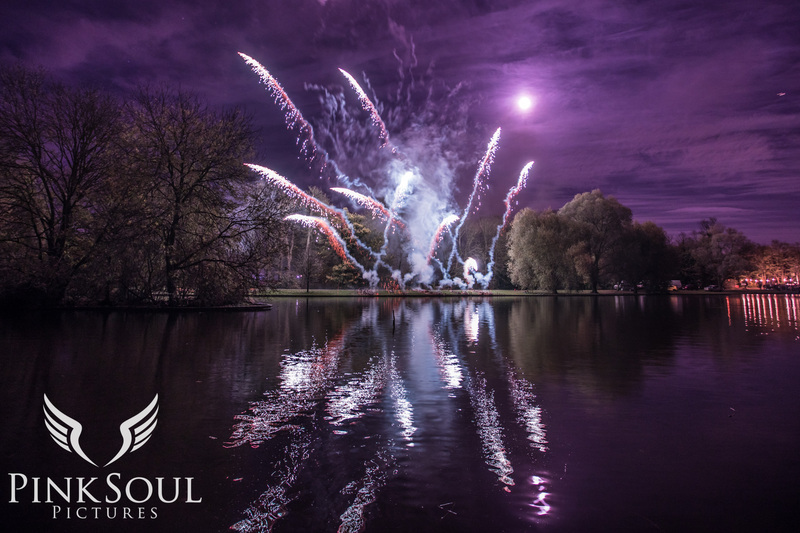 Recently I was asked by St Albans Cathedral to photograph their Fireworks Spectacular in Verulamium Park. 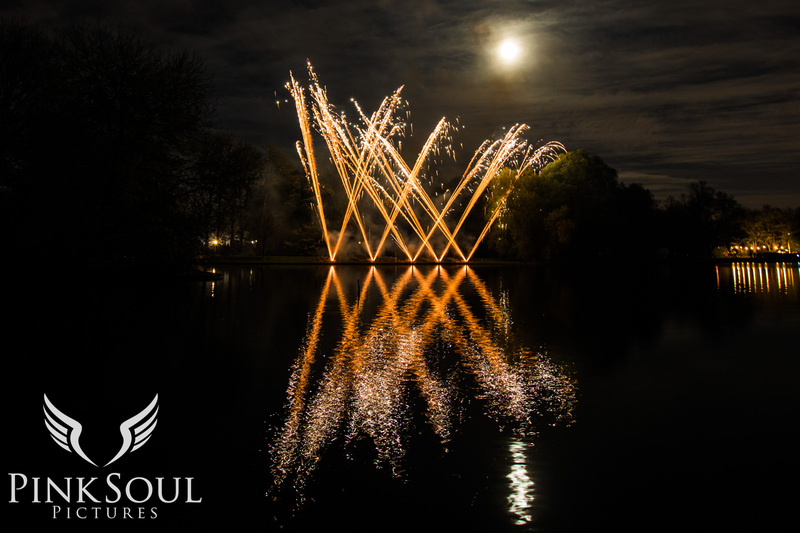 The magical display and beautiful lake made it a wonderful setting. 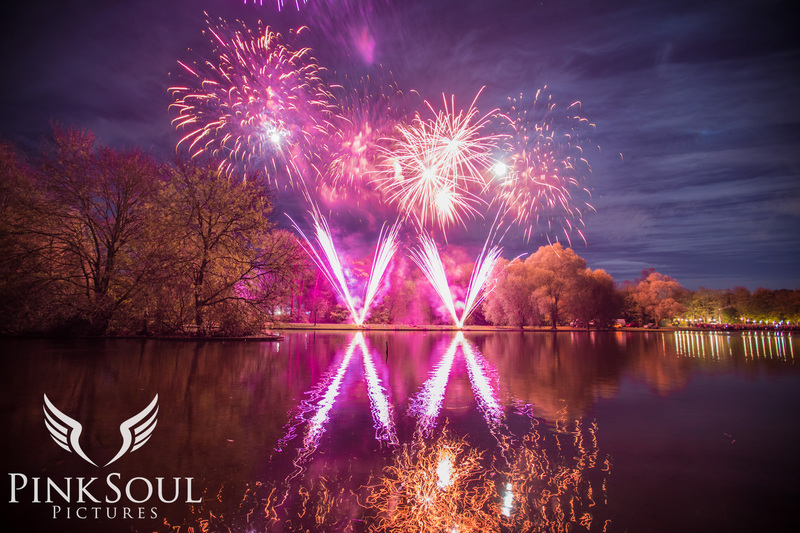 Shooting fireworks can be a tricky business so here are my top tips to get great images of your firework displays and enjoying the show. As with all shoots it’s good to check out the location in advance. I visited the lake with my clients a week before the event and in daylight. They showed me where the ‘firing zone’ was positioned and I found a vantage point that wasn’t obscured by tree branches. If it’s not possible to visit the location in advance, getting there early could mean you avoid being stuck behind the really tall guy with a toddler on his shoulders. If you would like to incorporate landscape features in the frame, preparation is key. Unless you’re going for the abstract, blurred shaky look, you’ll definitely need a tripod. When the camera shutter is open for long exposures, any tiny movement will result in a blurry image. When taking photos of fireworks, the tripod is your best friend. Using a tripod means you get to rest your arms and enjoy the show in-between photos. You can also use a timer or remote control so that you don’t have to touch the camera whilst it’s taking a photo. If it’s too dark to see a distant horizon, use a spirit-level on your tripod. One word of caution when using a tripod in a dark and crowded place. Take a torch you can use on your camera or surrounding area. It’s a good idea to politely ask those around you to stay clear of the tripod legs and keep people away. Not just because they could nudge the camera at a crucial moment but no-one wants is to go tumbling over, particularly if you’re at the water’s edge. Photographing firework displays on a film camera can get really cool results and I’ve shot some fun images on my iPhone. I do prefer to use a Digital Single Lens Reflex (DSLR) for night photography and regularly review the images on the camera LCD screen. Better still, zoom right in to the image and double-check the fireworks are sharp and not over or underexposed. For this project, I regularly reviewed the LCD screen and changed my settings to accommodate different types of fireworks. Some are so bright they illuminate the whole scene and others emit a more subtle glow. Each factor will have an impact on your image and it’s good to know so you can make adjustments. I love my camera but we don’t always agree on everything. Call me a control freak but I always shoot in Manual mode. Apart from white balance, I delegate this to the camera’s Auto White Balance (AWB). As I shoot in RAW file format, I can make white balance adjustments in post production (more on that later). Please switch off your flash. The ISO measures the sensitivity of the image sensor. The lower the number the less sensitive your camera is to light. A higher ISO setting lets in more light but also introduces grainy ‘noise’ to the image. This could ruin your photos if the sky looks too grainy. Check your LCD and if it looks grainy, reduce your ISO. Some cameras can handle higher ISO settings than others. I used ISO 200-400 for these shots. 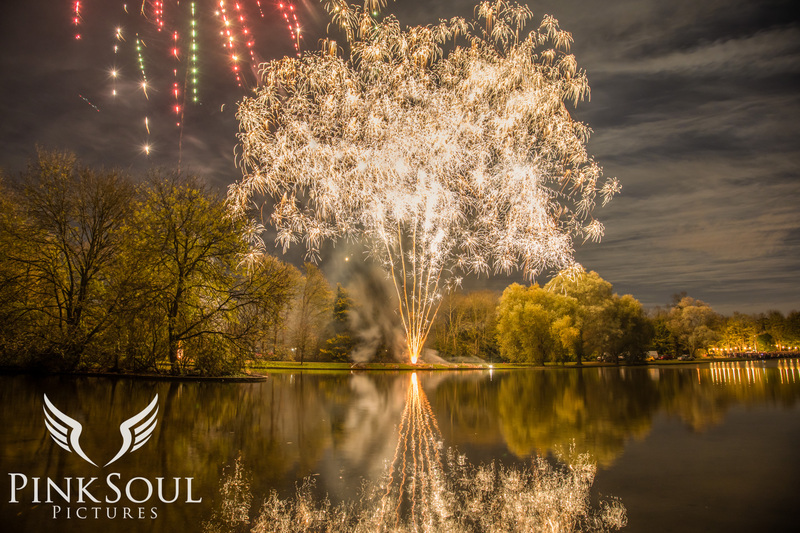 Rather than a magical Shutter-Speed formula, timings will vary from firework to firework and whether or not you wish to include the landscape/buildings in your composition. Many people use the ‘Bulb’ setting to hold the shutter or remote control for a specific amount of time. For this project I used Shutter-Speeds of between 1.0 sec – 4 sec exposures. 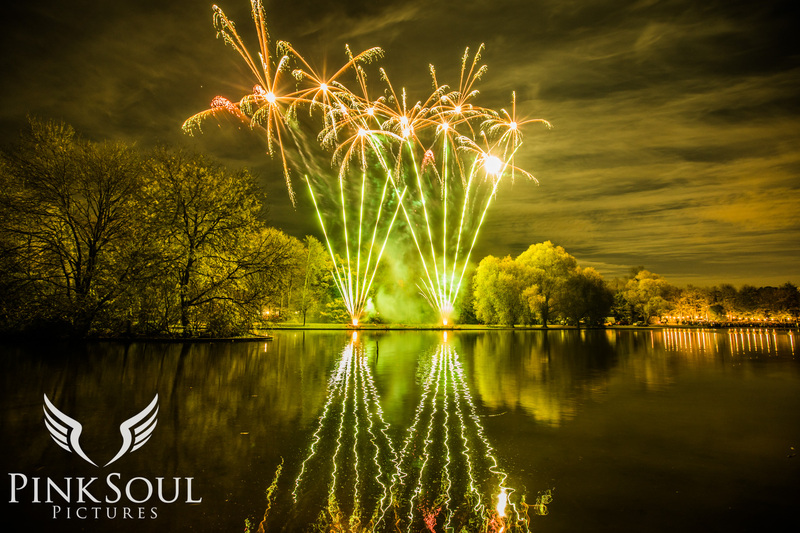 Without the beaming light of the fireworks, the lake needed speeds of 13.0 sec to be properly exposed. Ideally set your Aperture mid-range. You don’t need that lovely shallow depth of field and mid range will give the sharpest result. Lots of people recommend using f11 – f16. I used between f6-11 in these shots. 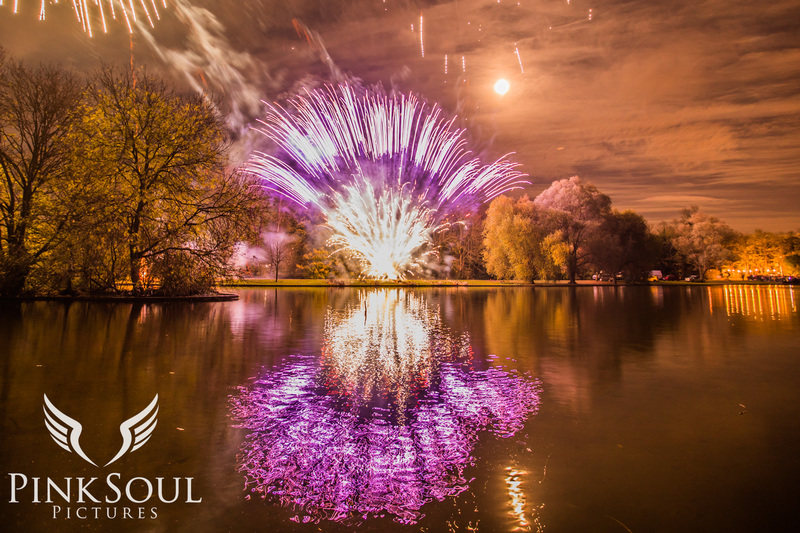 Depending on the style you’re going for you could opt for a telephoto lens and get amazing close up shots of the dazzling fireworks as they light up the sky. I chose a 16 – 35mm zoom lens. I used it pretty much at 16mm the whole time to get wide angle shots of the lake composition. M – is for manual focus on your lens too. You can set it to infinity or manually focus to a point you are confident with. 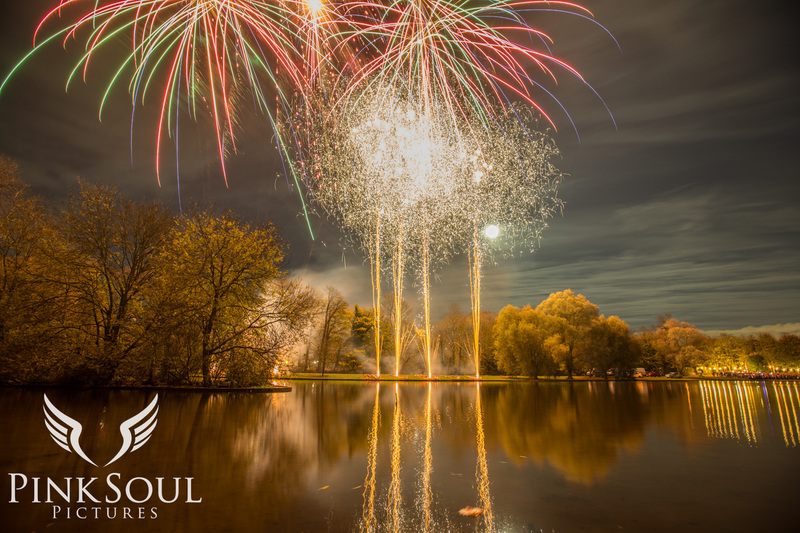 Check your LCD screen and zoom in to ensure the fireworks are sharp. If you’ve been shooting in RAW format, your files have captured all the image data recorded by the camera’s sensor. The images will have greater levels of brightness and highest quality possible. Hopefully you got the best exposure in camera but you can make small adjustments in your editing software. You can also create some dramatic colour effects for fun. 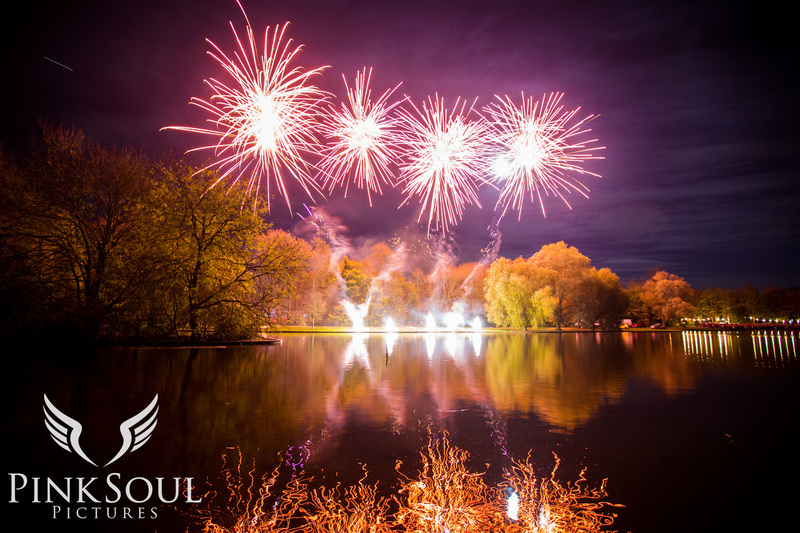 If you’ve set everything up, make some time during the display to stand back and take in the atmosphere of the event. Step away from the camera and watch some of spectacle without the viewfinder. Best of luck with your fireworks photos!